Jumps jockey Toni Moki might look right at home perched on top of a thoroughbred galloping around a racetrack, but many won’t know that this multitalented rider has another impressive string to her sporting bow. 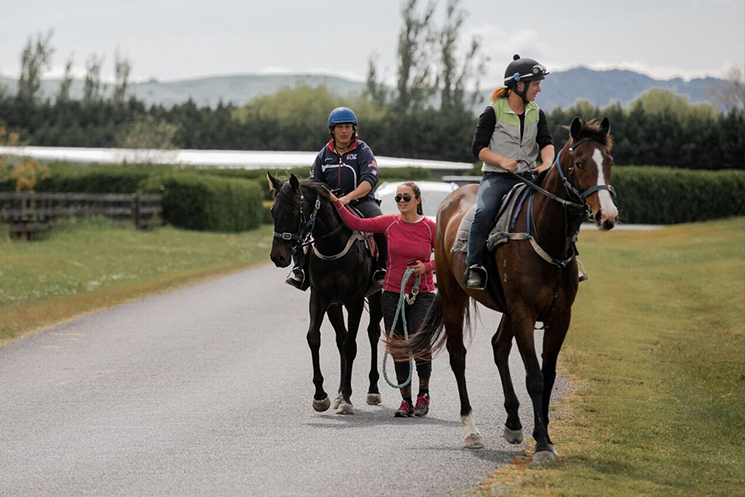 Until earlier this year when she begun making a career as a jumps jockey, Toni, who grew up in Hunua, South of Auckland, has always balanced her two sporting passions - horses and taekwondo. Horses came into her life at age seven, the same time she started Taekwondo, and she instantly took to riding with enthusiasm, but for Toni and her three younger sisters, Taekwondo was a non-negotiable with their parents, Maryann and Joe. “We had to do Taekwondo, there were times that each of us threw tantrums about it, but while we lived at home we had to do Taekwondo and we had to reach black belt,” says Toni. Reaching black belt at age 11, Toni was part of a New Zealand Junior team that travelled to Texas in 1998 when she was 14, and since then has competed at international competitions in North Korea, Germany, Argentina, United Kingdom and Spain - with her last being the Senior World Championships in Italy in 2015. Balancing four years of university study, then a career in psychology alongside the demands of Taekwondo, means Toni’s had to dip in and out of the martial arts based sport over the years, but has always come back to it. Considering that when one is preparing for an international Taekwondo competition it’s necessary to train up to three hours a day, six days a week, it’s easy to appreciate why Toni, who never wanted to do Taekwondo professionally, took those breaks. 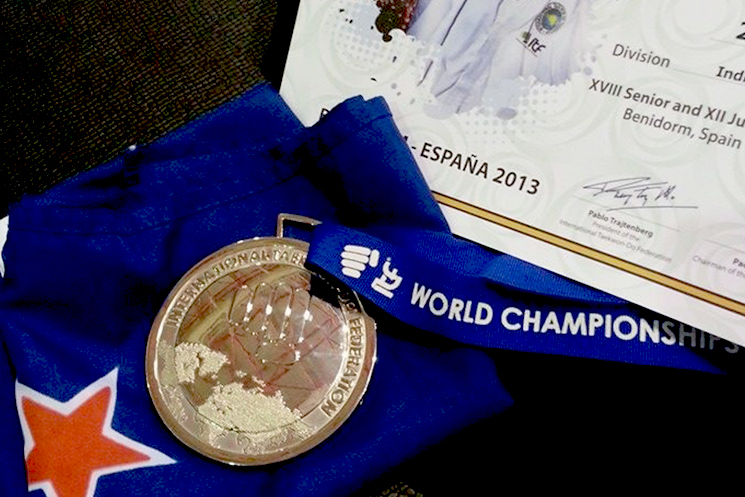 Nonetheless she’s competed successfully at the biannual World Championships for ITF Taekwondo every second year since 2001, including picking a silver medal in Spain in 2013. 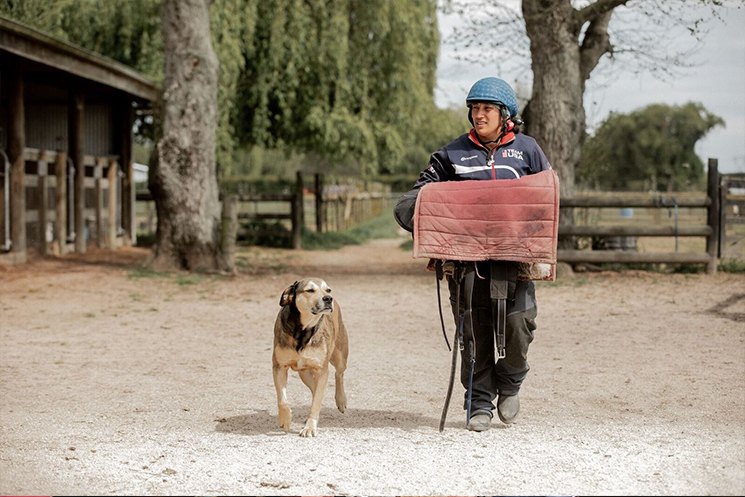 Toni’s other great love – riding horses – is something else she’s always continued with, albeit slightly sporadically. Competing in show jumping, eventing and at Pony Club with her sisters when she was younger, Toni started riding track work at age 16 and at 19 rode for a season as a jockey, before giving it up to head to university. Even though Toni showed talent in her first season of riding all those years ago, she wasn’t ready then to make it her career. She went to Massey University in 2003 with aspirations to become a vet, but instead changed to a Bachelor of Arts with a major in Psychology, which she completed extramurally while at home in Auckland. Throughout her psychology career, Toni rode track work every chance she got for Shelley Houston and Shaun Clotworthy, and in the last couple of years was used as a relief rider by trainers at a private training track in Ardmore. Leaving her job at the Defence Force in April, Toni decided to commit herself to a jumps racing career. “It was one of the most pivotal moments in my life leaving that job and coming back to riding full time – it was a big risk to take at 34,” says Toni. Pushing her to take the leap was close friend and racehorse trainer, Shelley Houston. When Toni left the Defence Force she says it would have been easy to stay at home in Auckland and ride track work on a casual basis. Remembering her ability as a jumps jockey many years earlier, Shelley was keen to encourage Toni to start a riding career. “She wanted to do it but she was needing the push to take that chance and I remember when she was riding last time that she was very naturally talented over a fence and I said if she wanted to have a go I’d support her as much as I could,” says Shelley. Now, as a full-time rider, the days of an office job are behind her and Toni starts her workday riding for Cambridge trainer, Roger James. After riding about six horses for Roger, Toni heads to Shelley’s stable to ride anywhere between five and 10 horses, and under Shelley’s watchful eye, Toni says her riding has come a long way since April. Toni’s had limited starts but says there were some definite highlights last season. An unforgettable experience was riding Lucky Tonight, a horse Shelley trains, to a second placing at Te Aroha in August. Throughout the jumps season Toni kept physically and mentally fit doing some boxing. While Toni wouldn’t fight during the season, she has a few fights planned for the next few months. She is also seriously considering the possibility of starting up Taekwondo training again, aiming to make the New Zealand team for the World Championships being held in Germany in April next year. A firm believer that she can’t compete at the top level of Taekwondo while trying to make her way as a jockey, the April timing of the World Championships is ideal, meaning Toni will be ready to focus on winning a race when the jumps season gets underway in May. Win or no win, Toni doesn’t have a single regret about her new career path.